Townhomes: The Lakeside Townhome section of Ocean Keyes consists of 50 Luxury residences that average between 3,100 and 3,500 square feet. Lakeside Townhomes enjoy spacious garages and multilevel living areas, spacious porches, and customized floor plans. Swimming pool and grills are very close and the ocean is only a block away. 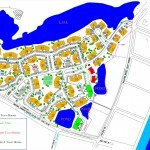 Many of our Lakeside Townhomes are located on the largest body of water in Ocean Keyes. Each townhome is beautifully decorated and some are available for sale and rentals. Resales start in the high $300,000s to the mid $400,000s. Contact our Sales Department at 843-444-4400 or Email to inforequest@oceankeyes.com.